Owners motivated to sell! Very competitive amateur jumper, small size but huge stride. 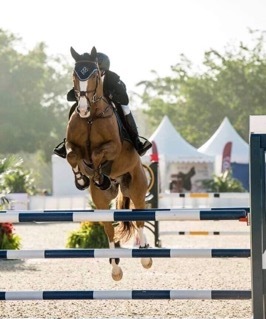 Has competed in Canada and United States and won numerous ribbons and championships with his amateur rider in 2018 including championship at rider’s first ever 1.10 participation, Vermont Summer Festival adult amateur high circuit champion, WEF8 2019 adult modified jumper champion. Lot of show mileage, no prep needed. Shown 1.35 in Brazil (video on request) before being imported in 2017, shown up to 1.30 since in the United Stated. Horse in steal, no maintenance. Open to serious offers, lease considered to right situation. Can be seen and tried in Wellington FL until mid April then in Quebec, Canada.